Inspiration and Rough Drafts: Is Being Kind Bad for Business? Is Being Kind Bad for Business? A couple of days ago, Sarah and I were chatting about this week's newsletter topic (arriving in inboxes tomorrow! )—email etiquette—and we both shared instances of communication breakdown. It happens all too often, not only via email or in business-related situations, but also in conversations and everyday life. I know people are busy. 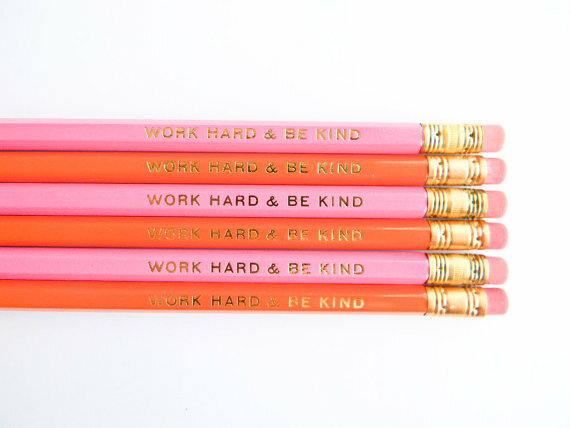 We are all busy, but that shouldn't be an excuse for not responding or for not being kind... right? There are plenty of busy people who have created systems to make sure their communications are timely and courteous. But this isn't really about email. The bigger topic that's been on my mind lately is the relationship between business and kindness. Do being kind and being successful have to be mutually exclusive? I don't think so. In fact, I think kindness is often the key to building relationships—and in turn, building a business. On the other hand, I'm often cautioned about being "too nice." This week's Design*Sponge Biz Ladies post addressed the debate "How Nice is Too Nice?" As a business owner, I know it's important to be firm and not give my services away, but those communications can still be kind. Yes, it's business, not personal. But when you're a small business, that line gets blurry sometimes. You are who you are, and yet, you also represent your company and brand. Good customer (or client or collaborator) service goes a long way. To me, being kind is about being respectful, keeping an open mind, thinking of others' perspectives, finding solutions, collaborating, and going above and beyond. And I don't think that's bad for business. What do you all think? How important is being kind in the business realm? I agree, there is a fine balance of being kind and fostering a sense of mutual respect vs. being too nice and letting others take advantage. It's tricky to navigate. Di jaman sekarang terdapat beragam cara gugurkan kandungan , Baik itu secara alami , maupun cara modern atau menggunakan cytotec . Ilmu cara menggugurkan kandungan ini pun banyak di cari oleh masyarakat khususnya dari kaula muda . Maklum saja, gaya pergaulan hidup bebas sekarang ini membuat semuanya di luar batas . È necessario avere il tempo di prendersi cura del attiva. E ', infatti, è stato un account di divertimento di esso. Guardate avanzata lontano aggiunto gradevole da voi.